It seems like juice places and other related “healthy” spots are popping up everywhere but, really, do we have to pay upwards of $15 for a fresh juice/smoothie? 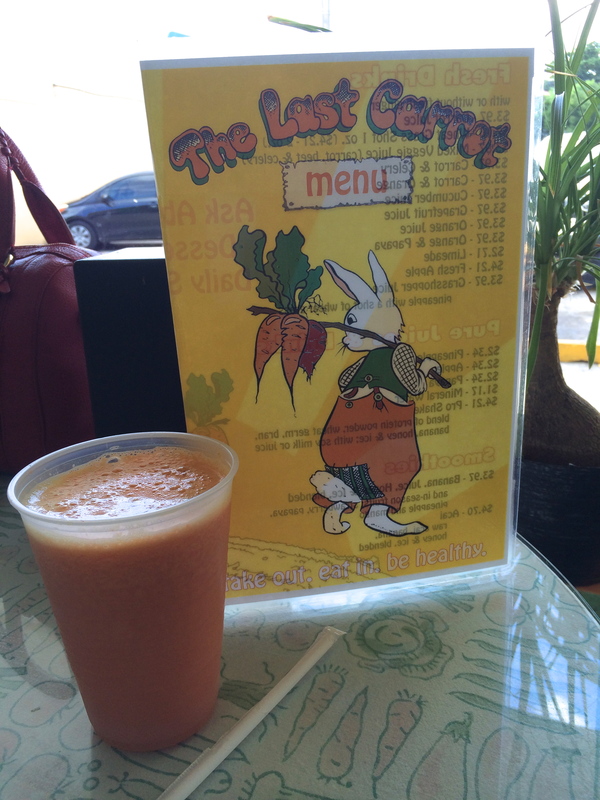 At The Last Carrot in Coconut Grove (open since 1975) you won’t find a high tech sitting area or brand new modern furnishings but you will find good wholesome food. It’s a casual, neighborhood place with made-to-order fresh juices, salads, pita sandwiches, tuna melts, spinach pies, smoothies and more. As I was sitting with my gal pal over lunch it was easy to see how loved this place actually is. Some usual patrons came in and ordered, yep, “their usual”. Many others came in for pick ups and everyone else in between came in for a healthy refuge. 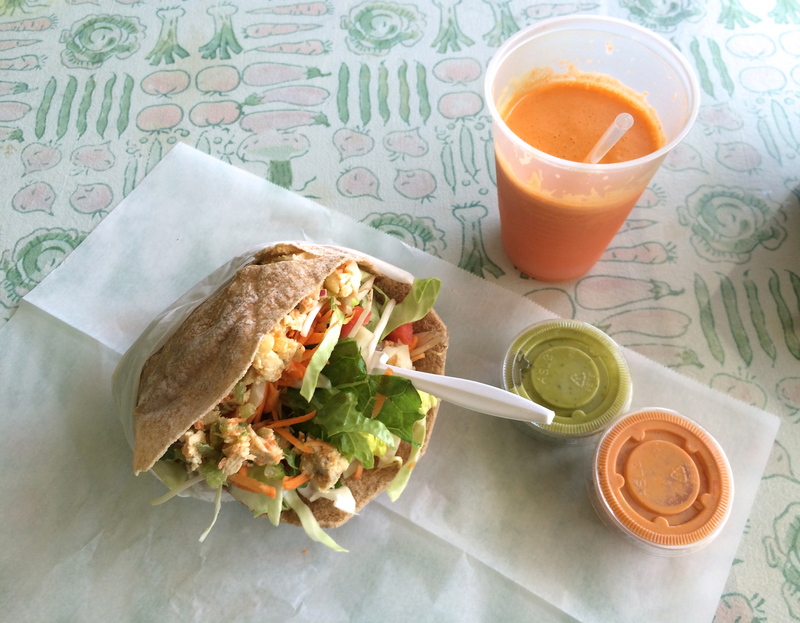 I had the chicken salad pita and a carrot & orange juice. The pita comes with 2 sauces on the side and they are both amazing! Dying to get a recipe for those! All in all it was super yummy and guilt free. My whole meal was about the cost of a smoothie at the Juice Spot. Side note- Don’t get me wrong, I really thought the Juice Spot was delicious but the prices were a little much.